Looking to buy or sell a home in Gallatin, Tennessee? 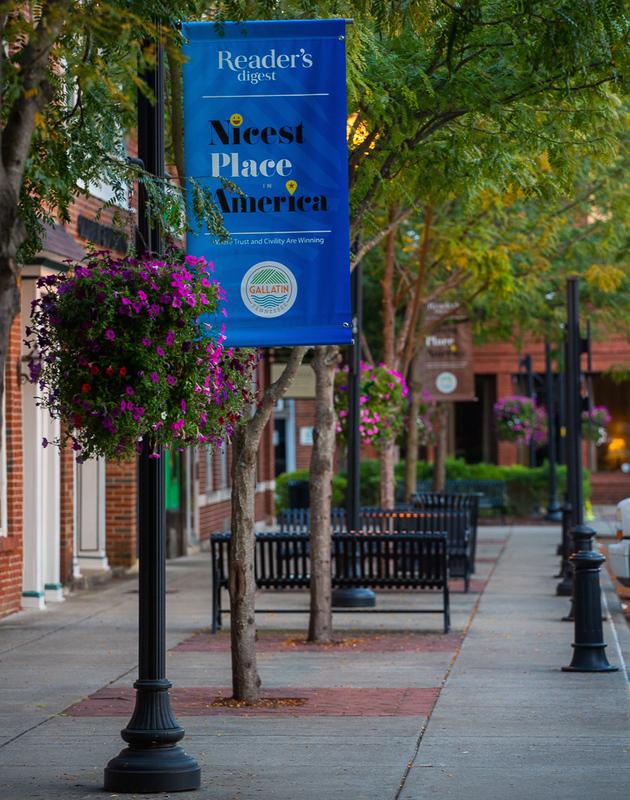 Located just 30 minutes northeast of Nashville and nestled along the banks of the Cumberland River and Old Hickory Lake, you will find the small but growing town of Gallatin. From its picturesque Downtown area to the waterfront, it almost feels as if it were plucked from a postcard. That is just one reason why many people who work in Nashville choose to move here. It’s a far cry from the busy city with its parks, marina, and quiet streets — a great place to get away from it all. But with companies like Gap, Inc. and ServPro moving their headquarters here, it is also becoming one of the best suburban Nashville cities to find a job or a start a new business. Named for Secretary of the Treasury Albert Gallatin, the city became the county seat of Sumner County in 1802, and it was incorporated in 1815. One of its first residents was a man who would eventually become President of the United States, Andrew Jackson. He founded the community’s first general store. When the Civil War rolled around, the citizens of Gallatin attempted to stay neutral, but many ended up fighting anyway. By 1970, an influx of industry took the area by storm, but Gallatin remained a fairly small community compared to Hendersonville and other nearby Nashville suburbs. Today, it is the perfect mix of big business and a quiet community where anyone can go for a little peace and quiet. Gallatin is only about a half-hour away from Nashville, which means all of the live music, professional sports, high-end shopping, and city living you could ever want is just a quick drive away. However, the town itself offers residents plenty of things to do without ever leaving their own backyards. From fishing on the Cumberland River to the Sumner County Fair, there is always an opportunity for fun and relaxation in Gallatin. Until the 1970s, much of Gallatin was rural, so with the exception of a few, most of the homes in the area were built over the last couple of decades. You will find a variety of styles, ranging from ranch to two-story traditional, in a variety of neighborhoods. For example, Fairvue Plantation features high-end luxury estates that sit on the lake or the golf course and is ideal for anyone who loves the country club lifestyle. In a community like Carellton, you will find beautiful brick homes that start in the mid $200,000s and sit on spacious, wooded lots with a community pool, cabana, and walking trails.